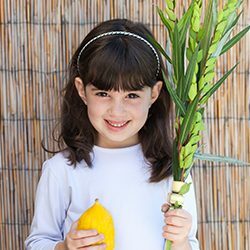 Sukkot and Simchat Torah are two autumn holidays that offer great ways to introduce people to the beauty of Judaism. Sukkot is like a Jewish Thanksgiving, complete with opportunities for dining and sleeping under the stars. Simchat Torah celebrates the annual cycle of reading the Torah, filled with joyous celebrations. Sukkot starts the evening of September 23, 2018; October 13, 2019; October 2, 2020. Simchat Torah starts the evening of October 1, 2018 (October 19 if Shemini Atzeret is observed); October 21, 2019 (October 20 if Shemini Atzeret is observed); October 10, 2020 (October 9 if Shemini Atzeret is observed). 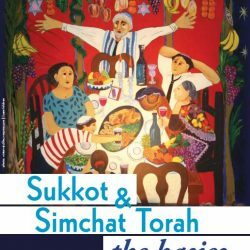 An introductory booklet for all families explaining the holidays of Sukkot and Simchat Torah. What’s a Sukkah? : a look at the building of sukkahs! Quick, easy downloads to guide you through the at-home rituals for the holidays, complete with audio of each blessing. 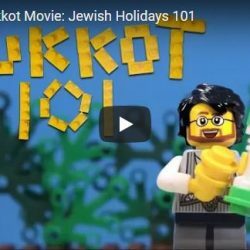 Sukkot and Simchat Torah and some of the less well-known holidays—Shavuot, Tu Bishvat, Purim—can be great ways to introduce people to the beauty of Judaism. 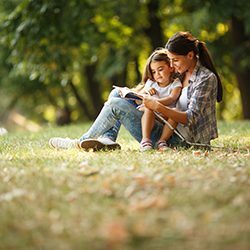 Learn how to make these other holidays part of your life as an interfaith couple or with your extended interfaith family in InterfaithFamily.com’s archive of articles, resources and external links. Visit the Resource Page for Shabbat and Other Holidays, or choose a holiday below!